Der Grüne Punkt was founded in 1990 as the first dual system. As the first system of its kind worldwide, it has been providing nationwide collection of used sales packages and obtains raw materials from them for the closed-cycle economy. Today Der Grüne Punkt is a leading provider of take-back systems. Paper cups made with EarthCoating® have qualified for a “AAA” rating and the Path 13 waste stream (paper, cardboard). Paper cups made with EarthCoating® have qualified for a 95% rating and Path 13 waste stream (paper, cardboard). 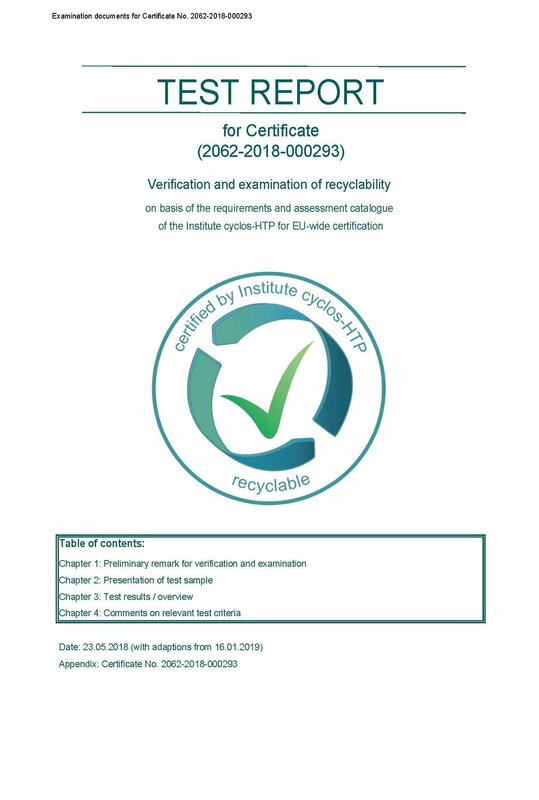 This report includes verification and examination of recyclability on basis of the requirements and assessment catalogue of the Institute cyclos-HTP for EU-wide certification. Please contact Smart Planet Technologies for a copy of the full report.